Regional Planning Councils are involved in a variety of water resource programs throughout New York State. These include, for example, watershed management plans, nonpoint source pollution control strategies, water quality monitoring, research, and outreach, education, and public participation programs. These programs often involve the development of regional partnerships, GIS mapping, and data collection in support of NYSDEC and EPA programs. 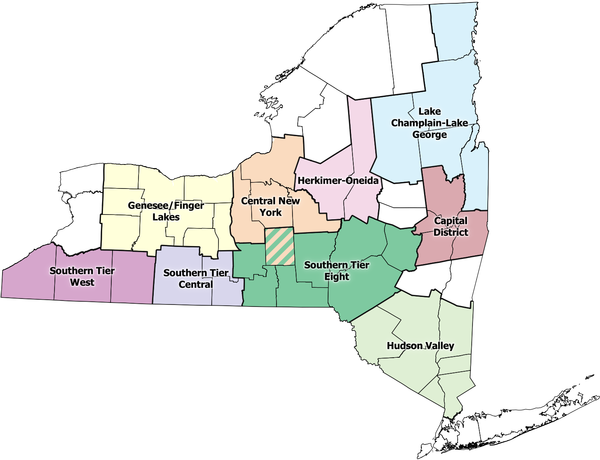 Click on the map below for a listing of specific water resource programs in each NYSARC region.